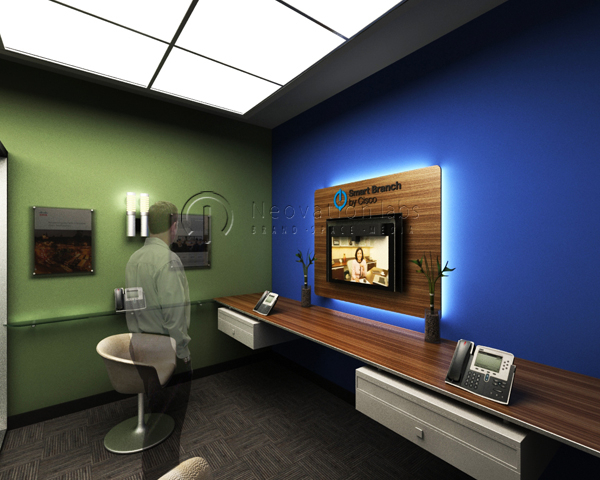 Cisco was launching its Telepresence technology in the finance industry. 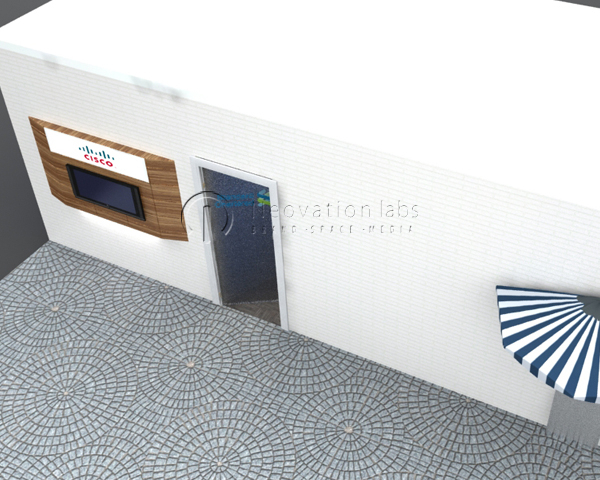 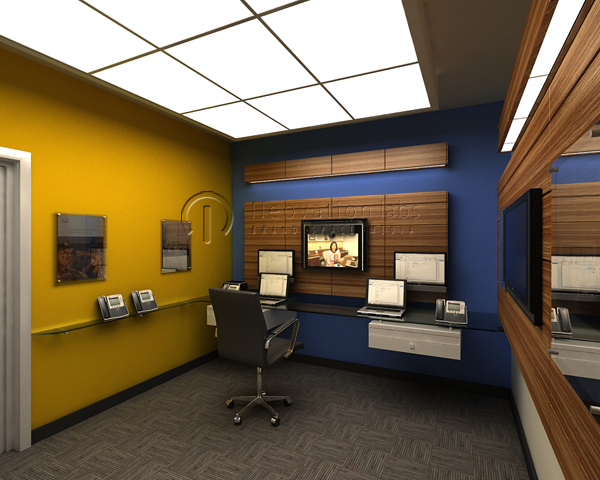 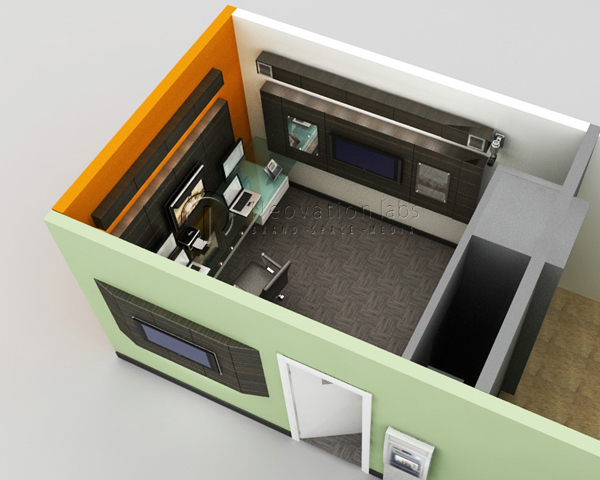 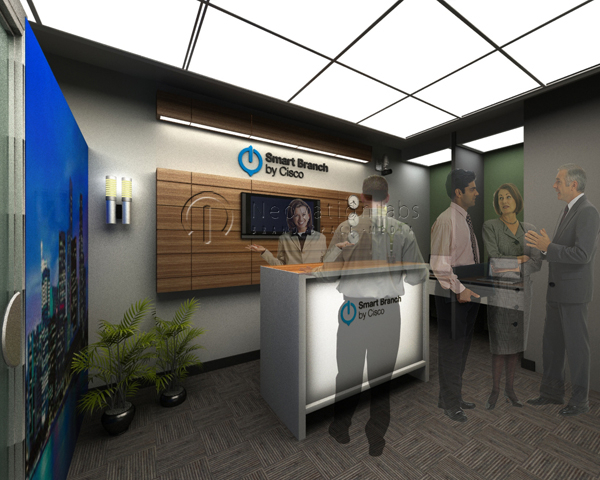 This solution was a prototype installation of their technology in a private room for a bank’s high value customers. 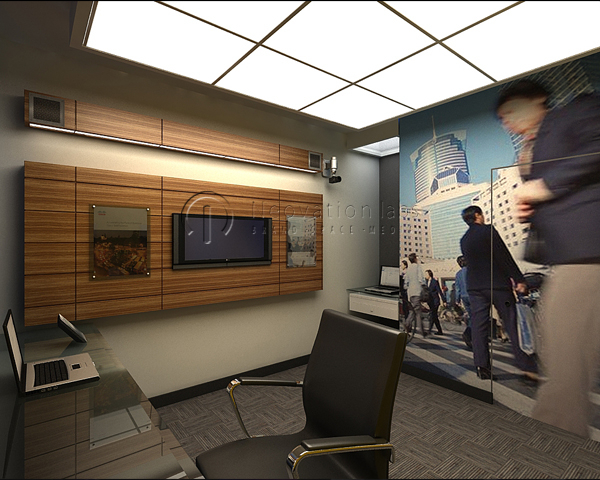 We designed a branded interior with high end finishes, branded graphics and special controlled lighting conducive to the interior space and the telepresence.